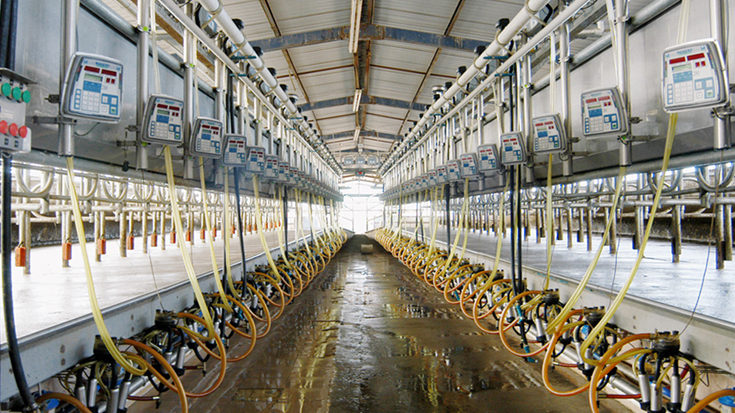 Madero Dairy Systems - The perfect combination of effectiveness and durability. The Coloso parallel milking system is the perfect combination of effectiveness and durability. Its design allows a faster, more effective and comfortable milking for the cows and the milker. 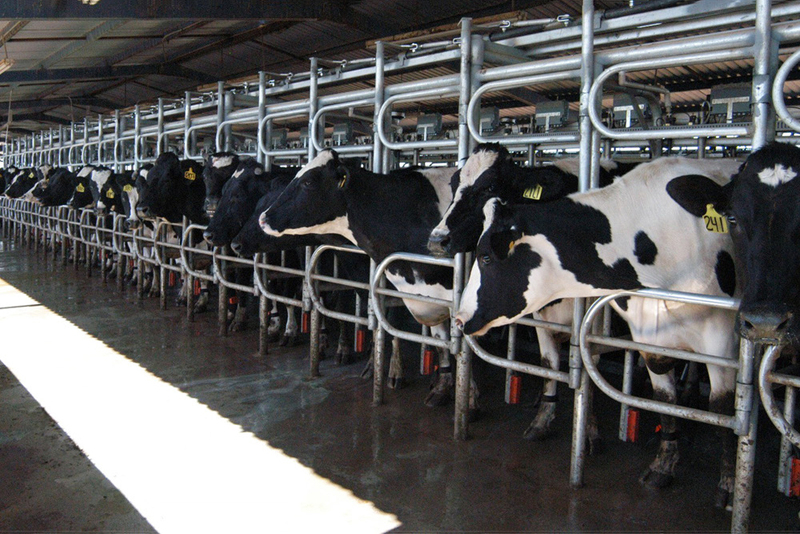 The wide entrance encourages the cows to go into the milking parlor in a comfortable way and without any stress. This way the cows position themselves adequately and get ready for milking. It allows to position a cow closer to the milker’s pit in such a way that reaching the udder can be easier and more comfortable. Quick exit with independent gates. This feature allows to retain hard cows for a longer time in the milking parlor or in treatment while it frees the rest of the cows that have finished milking. Splash guard with stainless steel gutter. Helps to maintain the milking parlor clean, bringing to the cow and the milker greater comfort. Fabricated in stainless steel and galvanized steel of the best quality, which guarantees a long life to your Coloso milking system.